Pomona CA is perhaps best known as the host of the annual LA County Fair. This is a fun event but undoubtedly Pomona CA works hard as well as plays hard. The biggest employers in Pomona CA include the local school district, the hospital, and Cal Poly Pomona (the university). This institution of higher learning has strong science programs, with the largest Civil Engineering program in the country in terms of number of students enrolled. Many civil engineering projects would be impossible without hydraulic equipment, including city developments in Pomona CA itself. If you work in manufacturing, construction, or any other number of industrial fields in Pomona CA, you probably rely on hydraulic equipment for your livelihood. If your hydraulic equipment doesn’t perform its best, your business will suffer. 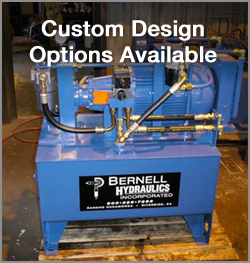 Fortunately, you can always turn to Bernell Hydraulics whenever you need help. We provide expert hydraulic repairs, service, and maintenance, as well as high-quality hydraulic parts from trusted name brands like Parker.